Granular filtration is a technique used extensively in the water and sewage industries, and we would all be quickly aware if it did not work properly. Designing and building an effective granular filter is a science and an art: this book covers both aspects. The theoretical basis of design is given considerable exposure, as are the behavioural characteristics of particles and fluids. This new edition contains extra material on stochastic simulations and the Lattice Bolzmann approach for studying deposition in granular media; more on prediction methods for collection efficiency, and a chapter on the various available software programmes. Chi Tien (BSc., National Taiwan University, 1952; MSc., 1954; PhD., Northwestern University, 1958) is professor emeritus of chemical engineering at Syracuse University. During his teaching career, Professor Tien also taught at the University of Tulsa, University of Windsor, National University of Singapore, and Nanyang Technological University. In addition, he had visiting appointments with University of Leeds, Karlsruhe University, and University of Duisburg-Essen. For over 60 years, Professor Tien has been actively engaged in fluid/particle separation and adsorption research and has published widely. 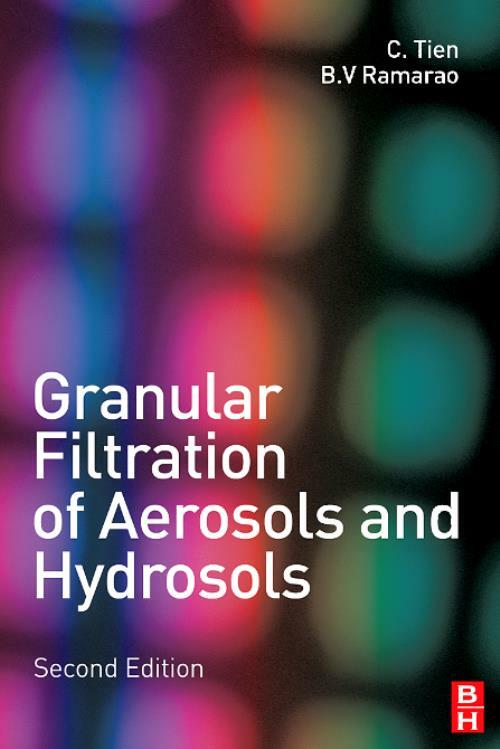 He authored and coauthored a number of books including Granular Filtration of Aerosols and Hydrosols, 1st Ed. (Butterworths), Adsorption Calculations and Modeling (Butterworths-Heinemann), Kinetics of Metal Ion Adsorption from Aqueous Solutions: Models, Algorithms, and Applications (with S. Yiacoumi, Kluwer Academic Publisher), Introduction to Cake Filtration: Analyses, Experiments, and Applications (Elsevier), Granular Filtration of Aerosols and Hydrosols, 2nd Ed. (with B. V. Ramaro, Elsevier), and Principles of Filtration (Elsevier).